Thanks to everyone for their advice ... I will update as things develop. I am not going to assume anything at this point. I will see how things turn out. At least I have a V8 to ride ... I purchased the V8 after I got tired of waiting for my Z10 to be delivered. I also learned a lot from this and should have listened to myself when Bank Transfer was mentioned ... I knew it was not a good idea but reasoned otherwise. I purchased the V8 after I got tired of waiting for my Z10 to be delivered. 1. Check the security features of the website in the browsers adress bar. HTTPS = must (when at the checkout) if not the company = scam. 3. Check the address using google maps to see what you find. if it looks suspicious, check the company size they claim to be and any parent affiliation that mentions them. also use these details to check the status of the company online e.g. UK use Companies House which keeps a detailed record of every company and director forming that company... they must be legally traceable here. (Dear America, WTF are you doing in this regard? your database is a joke for criminality) . I just sent Dominik a FINAL WARNING to return my funds as I will start the legal process on Monday if I don't receive a refund by then. I have been emailing him all day and he hasn't responded. I think his game is up very soon. It takes only minutes to process a refund and despite this meaning that he will not need to supply a Z10 below cost (something he should be happy about) he fails to take action and respond. Not good. I am amazed with amount of emails you sending a minute, we are not fraud company if we were then how could we run our business for few years ? How could we attend into many shows within UK , evidance attached refund is absolutely fine but this is not as easy as you think .. as you know something happened between our lines and we somehow missed your order and it has been paid into our supplier account, I will contact finance department in order to process that for you but this makes a lot of difficulties to us as well as you z10 has been reserved too and we are waiting for the realese, our new born child 3 weeks time has heart disease most of the time today and yesterday I spend in hospital, and I am just hearing new messages from you ... If you really willing to spread false informstions against us we will need to contact lawayer as well, as you have placed your order I will provide him your address in order to inform you about consequences spreading false informstions about companies. We never fraud anyone and I would be ashemed to do that, if I knew this would happen we would never add any z10 to website as because of the dates change everything came on us, I know it's not your fault and I fully understand your frustration but you are changing your mind each second how can we work like this? 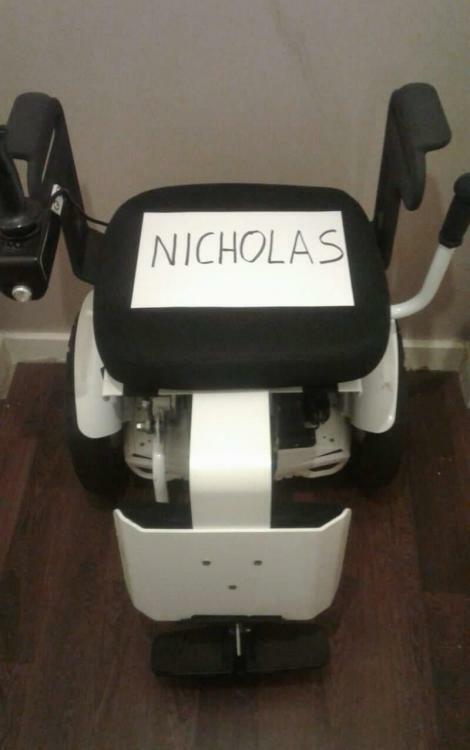 Please see attached, because we have reserved your ninebot and I would need to pay from my pocket your refund, and I had to invest a lot into my kid heart surgery, please give me few days probably next week few people coming to view Nano so they can purchase I will then immediately a refund you full amount I will also send you a recomopenssation of 100GBP for all inconveniences you came across. I am not that bad guy as you think, I have never cheated anyone, but few people done that to me , for example two years ago our company has been fraudrd for 20k someone came purchased mini pros and then made a claim so they received money and mini pros , we had long court war that time. I will also give a discount on any product you wish for in future, we are now opening a showroom for nano in Ireland as well. Z10 is very unfortunate I need to admit and I do apologise once again. I believe he is genuine, but he needs to make some changes to how he runs his business and deals with customers because he definitely gives out the wrong impression. Part of the problem may be due to financial difficulties in trying to get a new business started and growing so that it can properly support itself. The market in PLEVs is new and growing slowly due to legislation issues, but this is changing and I would expect his business to improve along the way. At least I can continue to dream about owning a Z10 which will arrive one day. I have had further emails exchanged with Dominic, in which I asked him some difficult questions and he responded. I am kind of satisfied with his response even though his answers reminded me more of religious apologetics where there are some mental gymnastics required to believe all of them. I think some of this may be a language thing as he is Polish, now living in UK. I won't post the emails here, but there is one interesting piece of information that I feel is useful to know and explains why Ian (Speedyfeet) can't get hold of Z10. 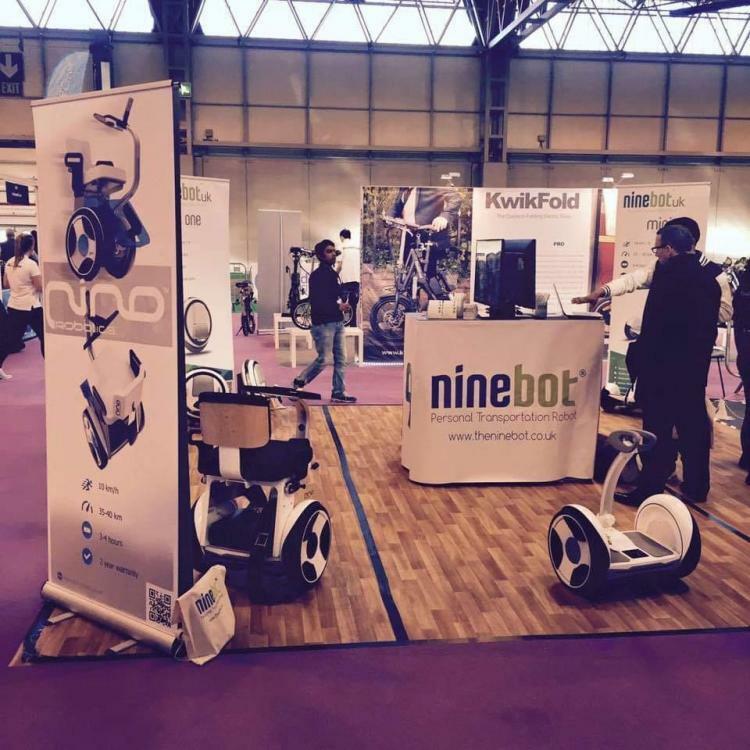 In 2015 Dominik started Ninebot UK (theninebot.co.uk) and he says he spent £60K to acquire exclusive distribution for Ninebot in UK and EU. This would mean that Speedyfeet would need to buy their Z10 from Dominic. I did already emailed Xaomi China to ask them if Ninebot UK was indeed the exclusive official Ninebot distributor, but they referred me to contact my local Ninebot supplier ... so no luck confirming this, but I believe its correct as things don't makes sense otherwise. Hope this info was useful though I cannot say whether or not it is actually correct. For now I have no reason to doubt it. Very interesting - behind the scenes info that, if true, would explain Ian's 'eh' attitude about the Z10. Ok. So I went to www.theninebot.co.uk and had a look around. It's very slick but these days that doesn't prove anything. I'm not au fait with the current Nonebot line up but I would have thought the Z series EUCs would have received a mention, No? Go have a look and see if you can find it. And is the S2 still relevant? Yes, the website is poor, but its mostly one man operation at the moment and a website that is out of date (the business address has changed, but website shows old address). All employees are self-employed. Most of their business is by phone, not website. Yes, I understand what you think ... I'm just passing on info I've received. He's been in operation for 3 years and website passes ScamAdvisor.com checks. Dominik is only 25 and runs 3 different businesses ... explains a lot. Good luck to him. When I finally get my Z10 I will know for sure if Dominik is a clever fraudster, but for now, I believe him. So a refund is „not as easy as you think and he would have to take it out of his personal pocket“???? I mean, even i would be able todo such a transaction -which means a lot - ..but for ninebot.uk it would be a problem? Sorry....never heard such a nonsense....the „financial department has given the money away“? Also the claim to have been paying 60k for uk and european 9b exclusive....i highly, highly doubt that. Seriously...you want a Z10? several german, belgian and other european distributors already have them in stock. NOW! And as i have -at least a bit- inside views into sales channels, i can promise you these european sellers dont have them from ninebot.uk. So please dont get me wrong, i really hope it works out for you! Just meant as warning! All I can say is ... where can he hide? If I don't see my Z10 I can still deal with it then. He already has my money, so waiting to see if he delivers on his promise will make little difference to the outcome. As regards the distributor rights it could just be UK ... I got the UK and EU from his website, as he didn't actually state this in his email. And no one has Z10 for sale in UK so thats a dead end for now. I don't have any hard evidence to suggest he's not genuine at this time. Its a real mystery. So a refund is „not as easy as you think and he would have to take it out of his personal pocket“???? I mean, even i would be able todo such a transaction, which means a lot...but ninebot.uk it would be a problem? I was trying not to poop any more in @Nic s punch bowl, but I had pretty much ALL the same concerns, plus a few more. One being that he can't even spell his address correctly. I know he's Polish but I have had to address a few things to Poland and all I do is COPY the letters in the correct order even though I have no idea what they mean. Nothing smells right about this. There's so much more, but I'll leave it at that. Plus this. Nic get your money back if you can. Then buy a real Z10 from a real dealer with real stock. Nothing smells right about this. There's so much more, but I'll leave it at that. Incompetence at running a business properly maybe? He's only 25. I would struggle at that age. I don't like to poop on someone who I have no solid evidence against at this time. He has nothing to gain by buying time as it will all come out eventually. I don't think he will be running back to Poland any time soon as he has been UK resident for 15 years now. But you are right ... it all feels a bit strange. I told him this. He reminds me of one of those obnixious twats on the Apprentice. They're barely old enough to shave or have a period, but listening to them you would think they founded AT&T and Apple but in reality they repackage other people's candy for corporate events, or some worthless twaddle like that. Exactly what I was thinking ... I suspect many of us would be the same at that age. Experience and wisdom came with age (and some smarts). I'm curious Nic, how long do you plan on letting this go on before you take decisive action. Do you have a date in mind? March? June? You should write a date on a piece of paper and then come hell or high water, disentangle yourself from this guy if you're not riding a Z10 by that date. Hope it resolves soon to your satisfaction. Steven, you use a lot of "he" and He's" in this post. It sounds like the "he" you are referring to is Ian at SpeedyFeet as this is the only person you have mentioned by name, but the context sounds like the actual "he" is Dominik. Can you please clear this up because it sounds like you are accusing Ian of something, and Ian has nothing to do with this. I plan to wait until end of May at latest, but expect to have Z10 before end of February as a reasonable expectation. How long does it take for delivery from China? 3 months? Domink says they are waiting for a motherboard fix because of all the reported faults and this costs him money and time to put right, so he won't order problem units (how long is a piece of string). I hope to get some updates from Dominik along the way. Without concrete evidence I can't simply assume he is lying and start taking action against his business ... the demo days do look legit and the business has been running for over 3 years. A google search fails to reveal any reports of scam from customers during all that time. If there was a real issue here, then 3 years should be plenty of time for reports to surface, but I can't find anything bad on this company. Maybe someone here will have more luck with this? I would feel really bad if I harmed his business and it all turned out to be innocent at the end of the day. Thanks. I've written a few "well it all made sense to me" posts myself. When I did business law at Uni. the professor would not let us use "he" or "she" or"it" everyone/thing had to be named specifically to avoid confusion. I guess I've taken that to heart through life. Nic, the more I listen to you , the more I realise 1.5K is nothing to you. Move on.. this dude isnt going to send you a Ninebot or your money, you allow him till May now? Can you not see how ridiculous this is? For the record.. Im out! Personally Id have told him to send the money or the legal stuff goes massive. No body wants the truth of this process, nobody legitimate. Why you allow him time is beyond me. Most of us who have bought a wheel directly from China have received it in ~1-month. Its more a case of I've already assumed the money is gone, so I've nothing left to lose by waiting a little longer. I haven't found any concrete evidence that he is a crook just yet and the demo days look genuine. I will definitely learn a lot from this. At first glance I wouldn't have given him this long, but I can't find anything at all on the web to pin him down as a fraudster. He can't run anywhere and he knows he can't delay my Z10 forever. I don't need a Z10 for winter, so I can wait longer. We do know that Z10 does indeed have many issues from other members in this forum. Its more a case of I've already assumed the money is gone, so I've nothing left to lose by waiting a little longer. I haven't found any concrete evidence that he is a crook just yet and the demo days look genuine. Exactly. the value is nothing to you. I suspect you're so rich this doesn't really matter. I would say to to those looking in, this is a huge lesson to those that value their money. I do accept, the monied people have no idea the economics of failure and trust involved here.